If you’re shopping for a luxury SUV, but aren’t ready to buy, explore the BMW X3 lease specials at BMW of Escondido near San Marcos! The 2019 BMW X3 is offered in three trims: sDrive30i, xDrive30i, and M40i. Each delivers unique performance specs and BMW technologies San Diego families are sure to love. Standard features include Y spoke wheels, a 12-speaker sound system, iDrive 6.0 system, and a power tailgate. Compare top luxury SUVs here, and then once you’ve decided on a new BMW X3, go ahead and get pre-approved online for leasing through BMW Financial Services! 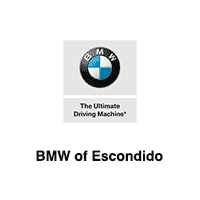 Why Take Advantage of the BMW X3 Lease Offers at BMW of Escondido? Poway shoppers can contact us to learn more about the BMW X3 lease price per month for 36 months! We can help you get the best possible monthly payment and terms on one of our BMW X3 lease offers.